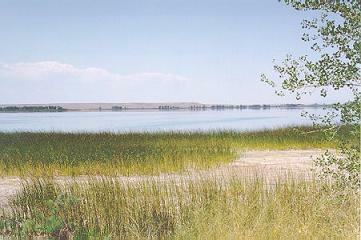 Pelican Lake is a natural lake in the Uinta Basin southwest of Vernal. Historically, it is noted as a world	class bluegill fishery. In 1983 it produced the state record, a two pound, three ounce bluegill. Old timers claim that it was one of the "little ones". Half of the	shoreline is owned by the BLM and half is privately owned. Public access is unrestricted. Bluegill and Green Sunfish in the aggregate: limit 20 fish. Bass limit 6; but only 1 bass larger than 15 inches.